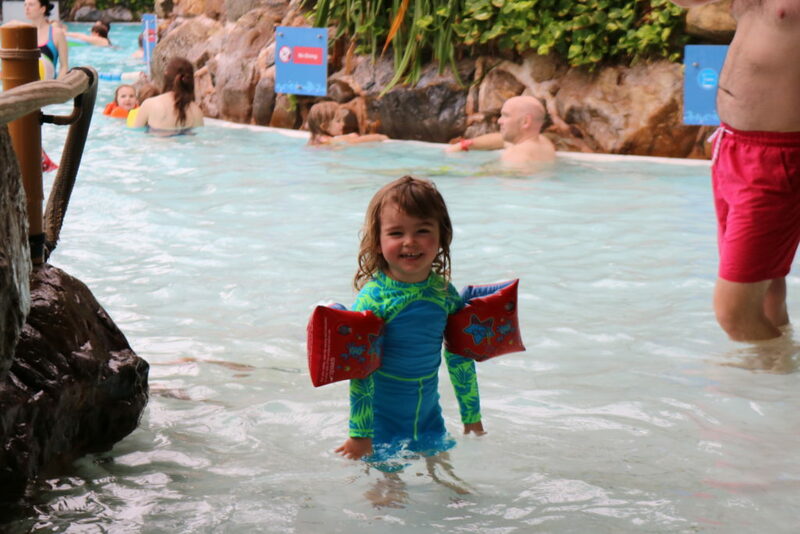 Hi and welcome to a in-depth review of our family holiday at Center Parcs Sherwood Forest! 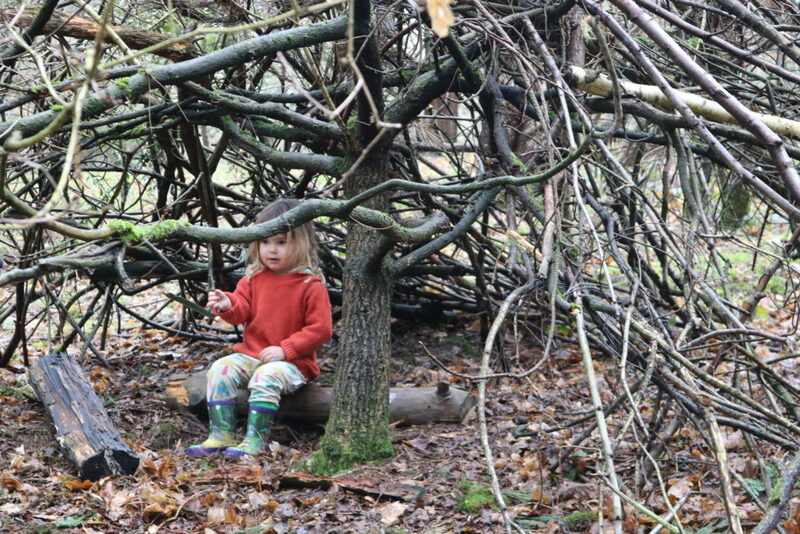 We escaped there in March 2019, Monday-Friday and stayed in a new Woodland Lodge with our 3 year old. I will say we are “on a budget” and that goes for our holidays, too. I’m sure we all love a bargain and so holidays like this is not something we usually can afford. This was a treat. And I LOVE good value for money. 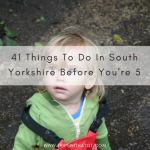 Our family holidays are usually at caravan parks, or staying in cheap hotels or family friendly hostels so obviously this was a lot different. Call it a baby moon if you wish. It was our last holiday as a family of 3, before the new baby comes in just over a months time. We wanted something very special, something we don’t usually do, and something we probably won’t do for many, many years. Sooo, we were willing to splash out on for what it was. 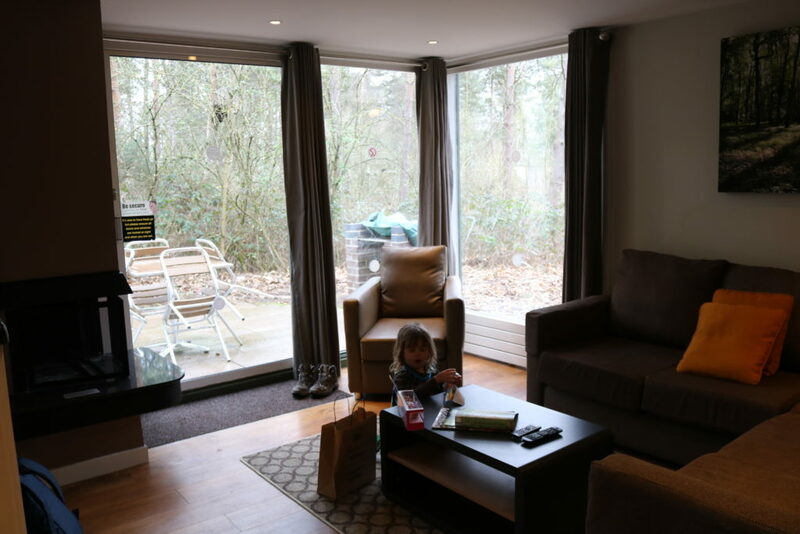 My assumptions of Center Parcs have always been… 1, that you need to have a car, 2, activities are very expensive, and 3, it’s all about cycling. We don’t drive or have a car, we don’t have loads of money to be spending on all the activities, and we don’t have family bikes. And even if we did; we couldn’t take them with us without a car, anyway. I was intrigued to see how different the experience would be in our situation. How much did the holiday cost? Our budget was £350 for a Monday-Friday break at Center Parcs. 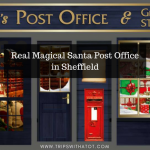 We could be relatively flexible with dates; it can be term time, my OH could take any days off within about 2 month frame (holidays to use up before April) and this helped to find the cheapest prices online. 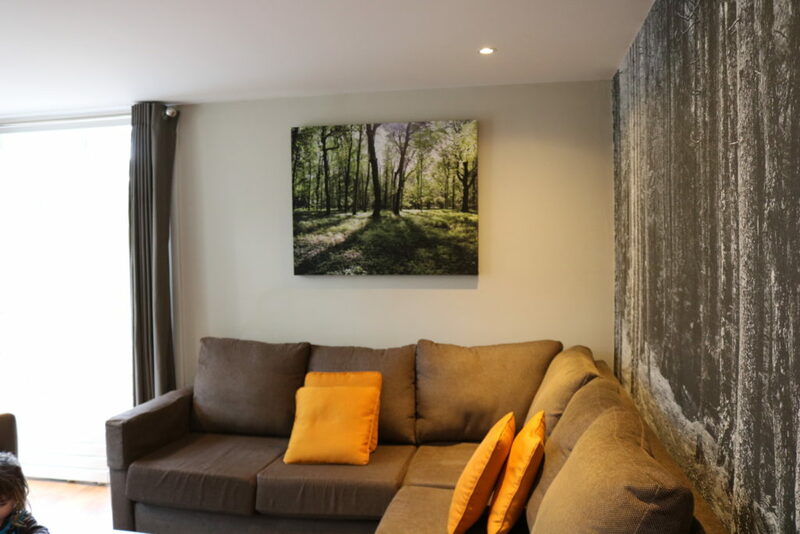 Our break was just over the budget… it was £384 and that was in a 2 bed “new woodland lodge” for Monday-Friday at Sherwood Forest, 1 toddler and 2 adults. It would have been about £14 cheaper to “downgrade” to the old style woodland lodge, but when I read reviews online and spoke to people who had been there they said the old style lodges can be quite dirty and really basic. After spending all that money I really did want at least some luxury. So we went for the one up which was the new woodland lodge. 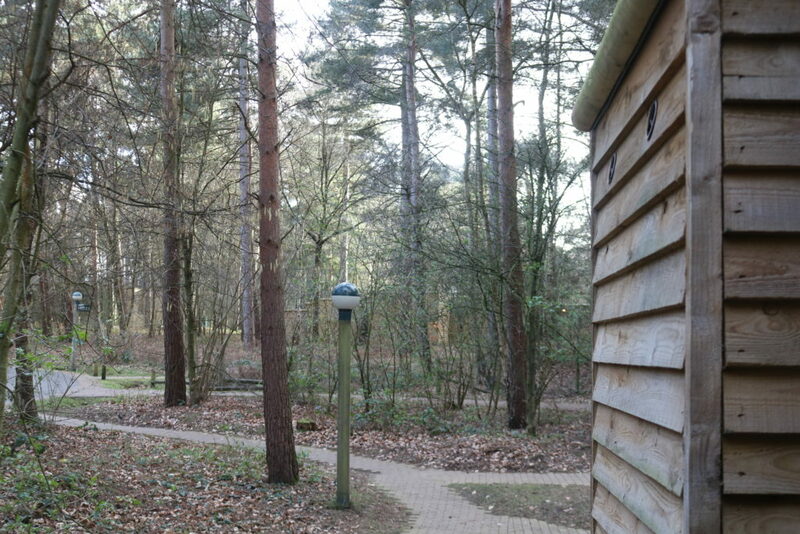 I have heard at other Center Parcs like Whinfell Forest they don’t even have different types of woodland lodges; they’re all the new style and there is no ‘New’ and ‘Old’ style. That price included the accommodation (which was fully equipped, really), access to the park Monday-Friday and the swimming pool “sub-tropical paradise”. The lodge was nice but not luxury. Don’t get me wrong it was a nice place to stay and way nicer than places we stay usually- but it was not luxury, it was just a nice apartment. It was a little bit bigger than I expected. I would say it was about the same standard as the apartment we stayed in at Butlins. If we were to go back in Easter Holidays where the price goes up to over £1,500 then I don’t think it is worth that price for an apartment. It was clean, modern, had some good parts like a “smart tv” (only a few channels though), a log fire, a corner sofa, a coffee machine, and 2 bedrooms. 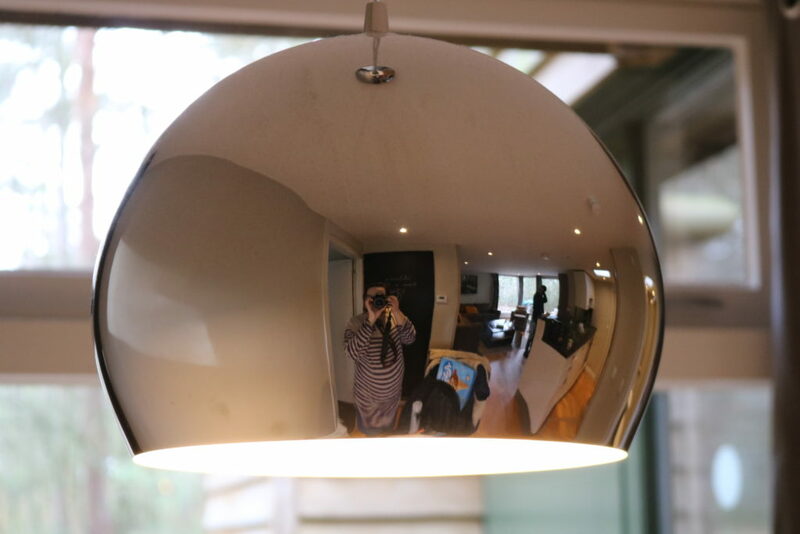 It was open plan style so you could see the kitchen from the living room. 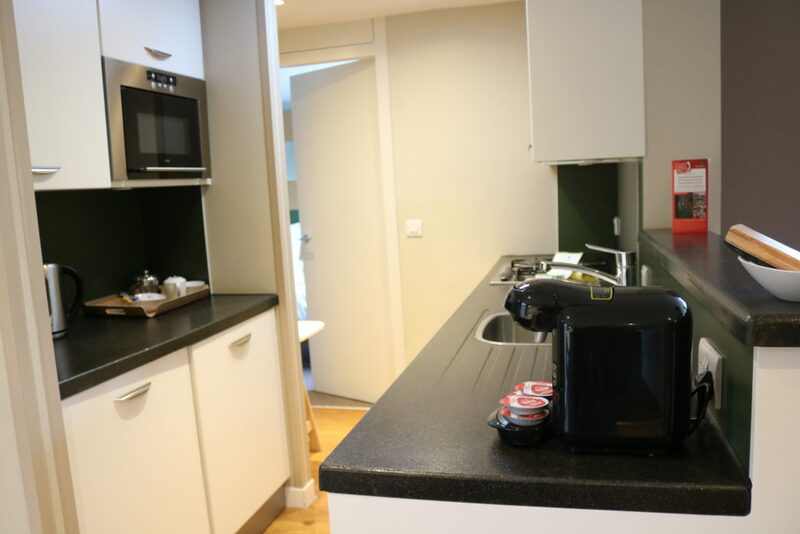 The kitchen was very small but fully equipped with fridge, freezer, dishwasher, oven. The bathroom had bath and shower, and a little stool for Eric to stand on to wash his hands. 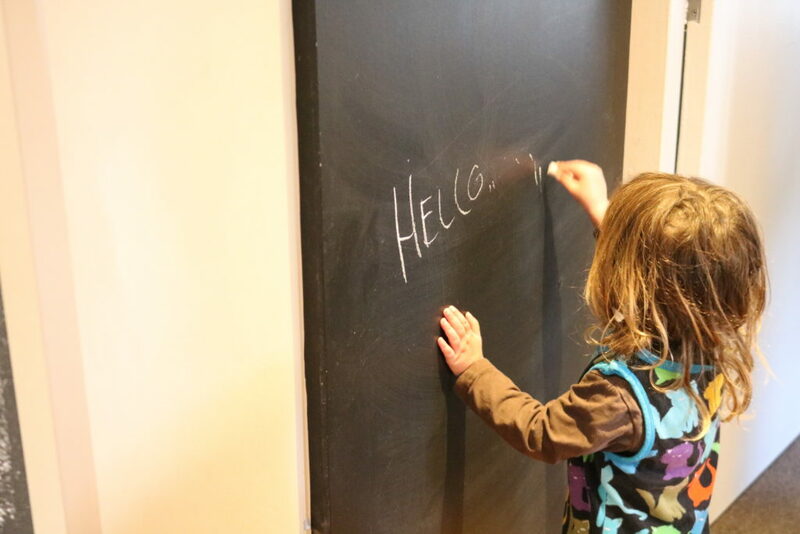 There was also a chalkboard in the living room on the wall and housekeeping had written us a little message on there which was really nice. The beds I found to be incredibly uncomfortable, despite the fact I was 31 weeks pregnant… even ollie agreed. I thought the sheets were hard and plastic-like. Other negatives were that the oven didn’t work properly… it either undercooked food or really burnt it. It was stressful to cook meals! The best parts? How clean it was, the sofa and the nature outside. 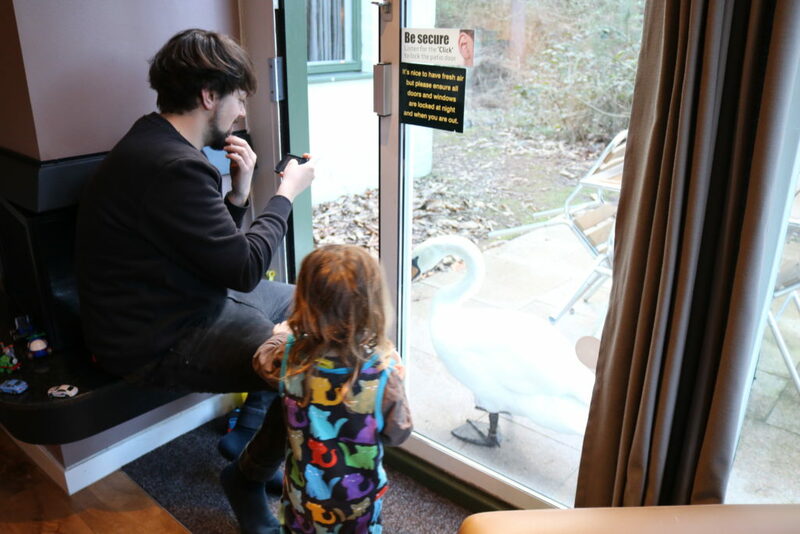 Our lodge was right next to some open water, a small lake, and we had birds, squirrels and swans always come up to the windows. From the minute you open the curtains in the morning, friendly friends are there to say hello and you really can’t beat that. Seeing Eric’s face when a squirrel came and sat on the windowsill outside our bedroom window one morning was priceless. 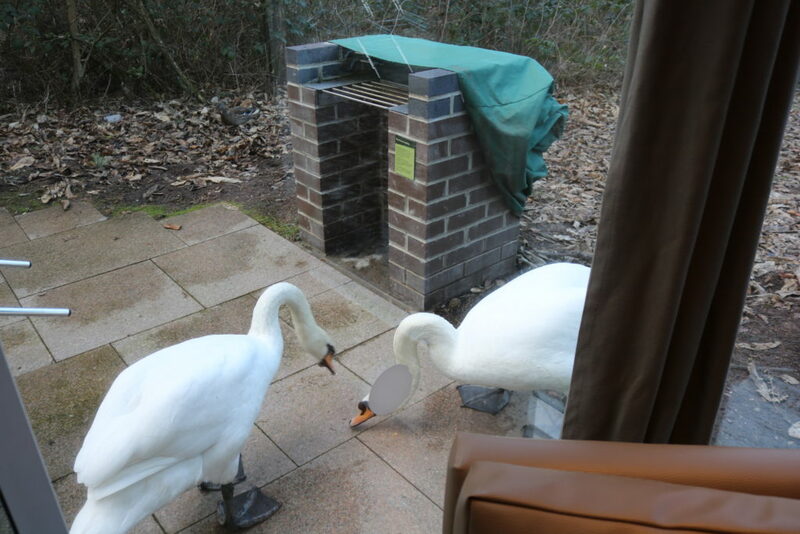 And those swans… they wanted to come into the lodge!! 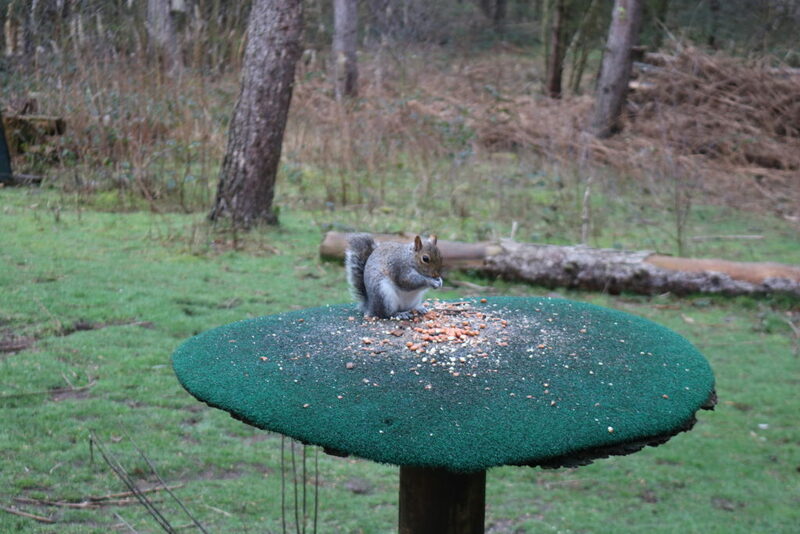 Take your own bird/squirrel/nature feed or you can buy it in the supermarket there. We didn’t pay to be located and just went with it, luckily our lodge was really close to the village (the centre with everything, including swimming etc.,) but I nearly did pay to be placed… you can choose where to stay (location in the park) when you are booking and for that privilege the price is crazy, some choices (I’m guessing the closest) were £65-£95. Needless to say I am glad we didn’t do that as it did seem like most of the woodland lodges were very close to the “village”. 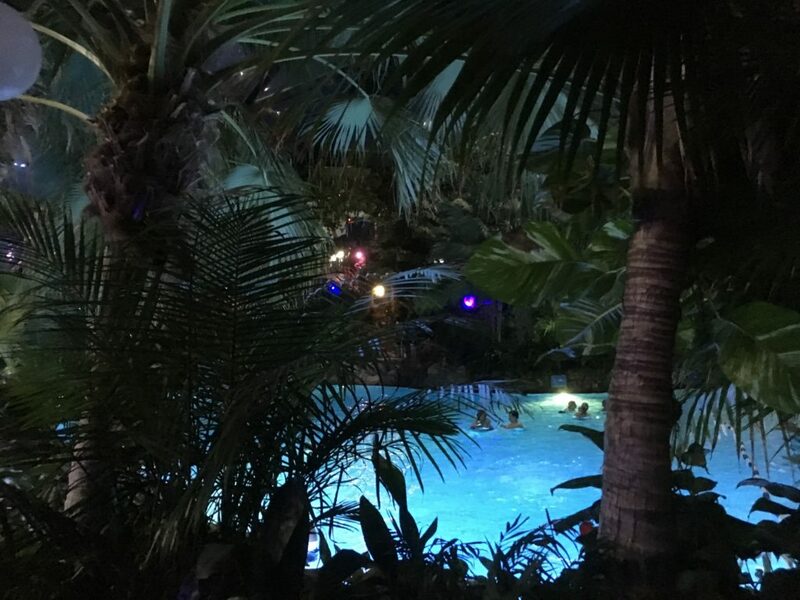 Swimming at Sub-tropical paradise – It’s the best swimming pool I’ve ever been to and there’s nothing else like it. I’m not fan of swimming in general but I really liked it. It was soooo warm! There’s so much to do there and it’s beautiful in the evening. You can go as much as you want for free and it’s open all the time. 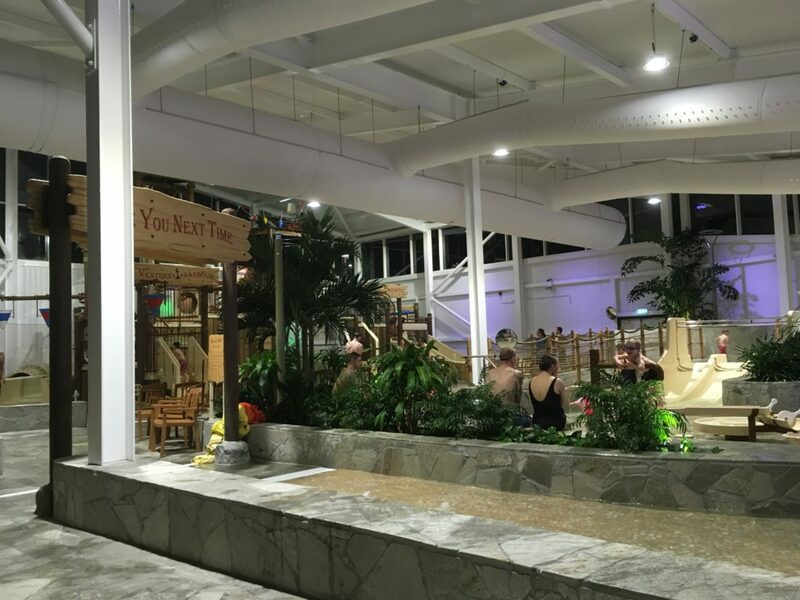 There are slides and rides, outdoor heated pool, water splash area for children, lights at night time, cafe and Starbucks! The beach – Lots of sand by the (big) lake where they have water sports and The Pancake House restaurant to play in. It was a nice place to play in the sand but I can imagine gets very busy. 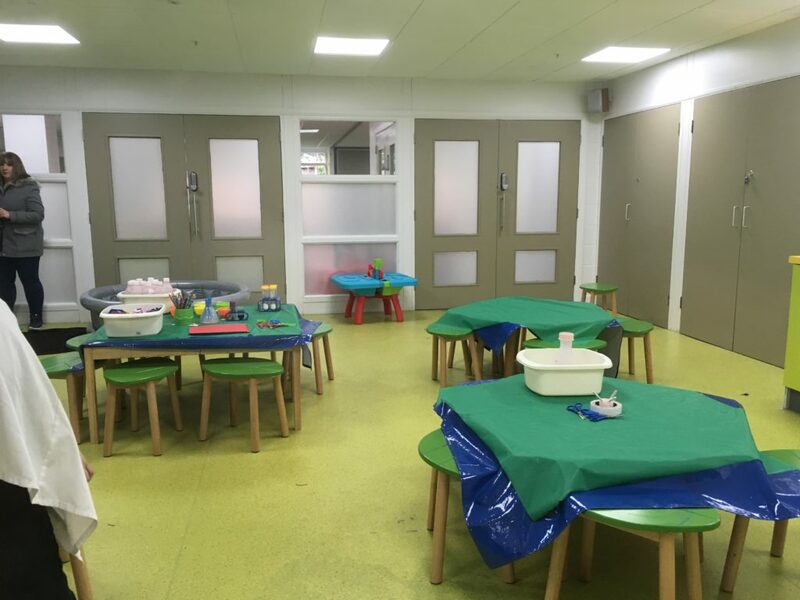 2 outdoor play areas – One outside the back at Jardin Di Sport (and a small indoor soft play in the corner next to the arcade games) and one in the village, next to Mini Golf and the beach (more like two, split in half!). 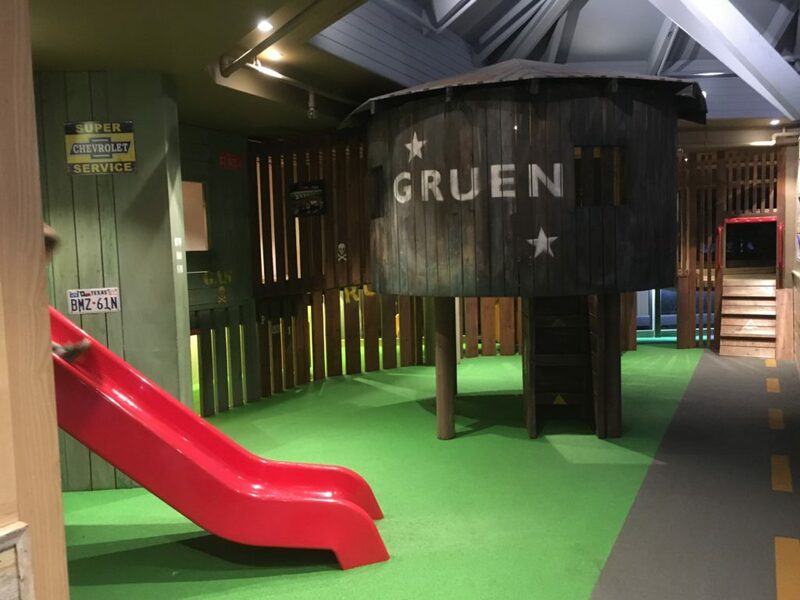 Indoor play areas (sort of free) – Majority of the restaurants (think there’s 8 or 9) have small indoor play areas inside them. You obviously need to be paying customers for these, and the prices for food is not cheap… but the cheapest way to go about this is just buying a drink so you can go in the play area. We did this at Hucks bar & grill. There is also an indoor play area inside the Leisure Bowl which I think is 100% free although we never went in there. 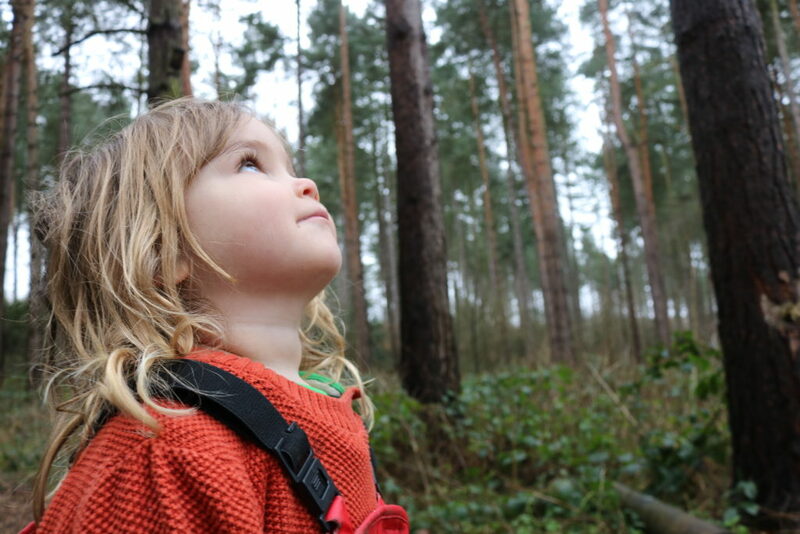 Walking/being outdoors – You are in a forest so you can just go exploring around, which is obviously free! It did feel like you are very close to facilities/country club, accommodation or the village wherever you went. I didn’t feel we had a ‘good walk’ or ‘went walking’. But it’s nice for strolls. 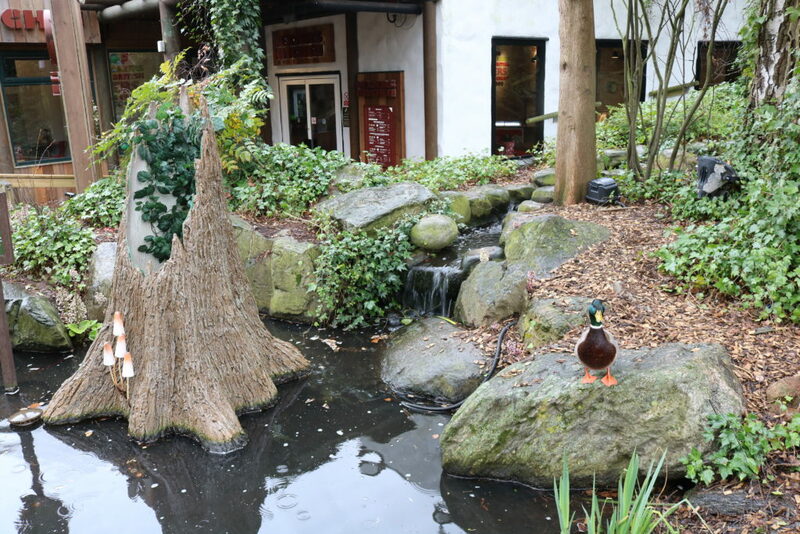 I found Center Parcs Sherwood Forest in general to be much smaller than I thought it would be. Nature Trail. 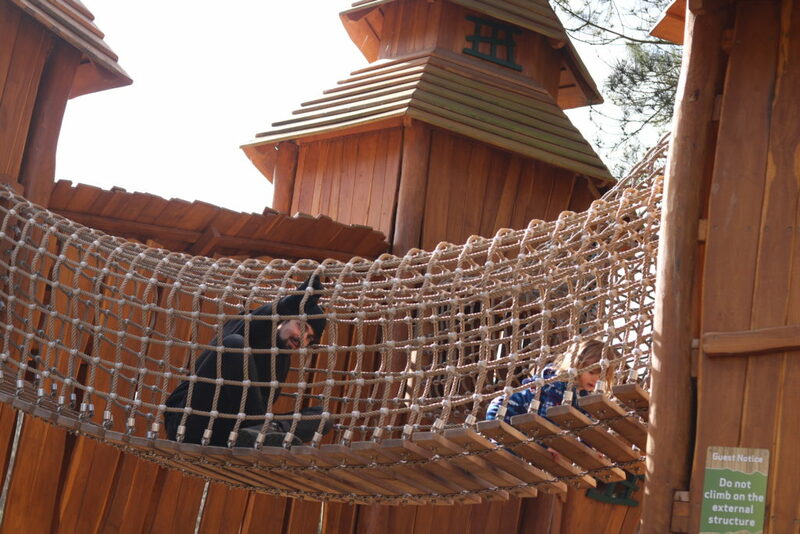 We did go exploring one day to the nature trail behind the tree houses up at country club. 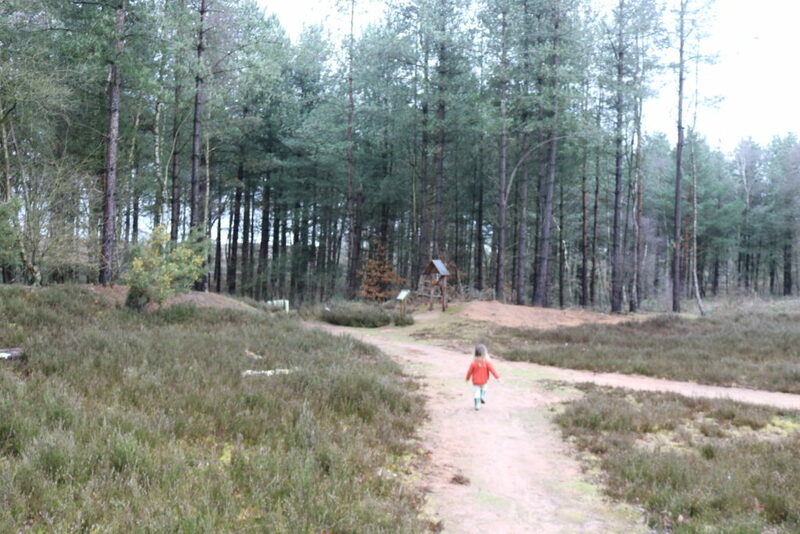 That was nice, but it was a short trail and there are fences all around Center Parcs so you can only go so far. 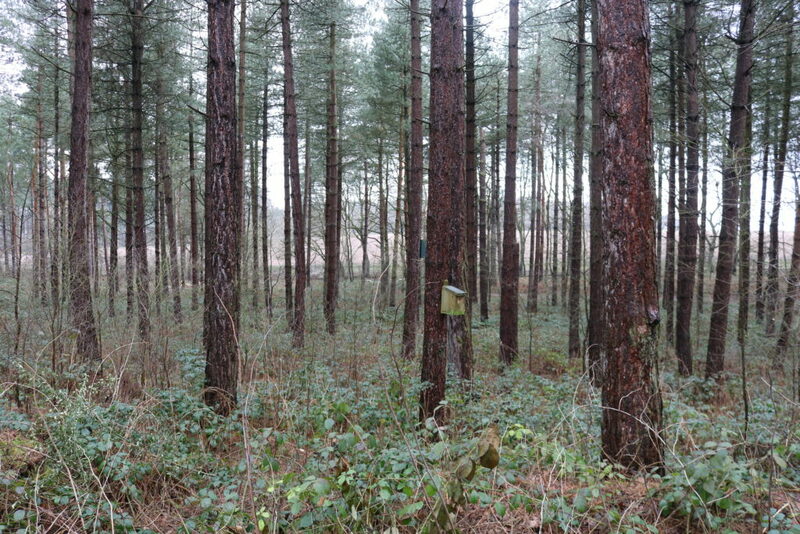 This is the most natural area at Center Parcs where it is more stripped back and wild compared to the rest of the park. Cycling. If you take your own bikes then it is free to ride around. Be aware the cycling hire is quite pricey if you don’t take your own. We were priced out for that so we didn’t bother. I was worried we would miss out on the whole Center Parcs experience by not cycling but actually I didn’t feel the need for it at all. 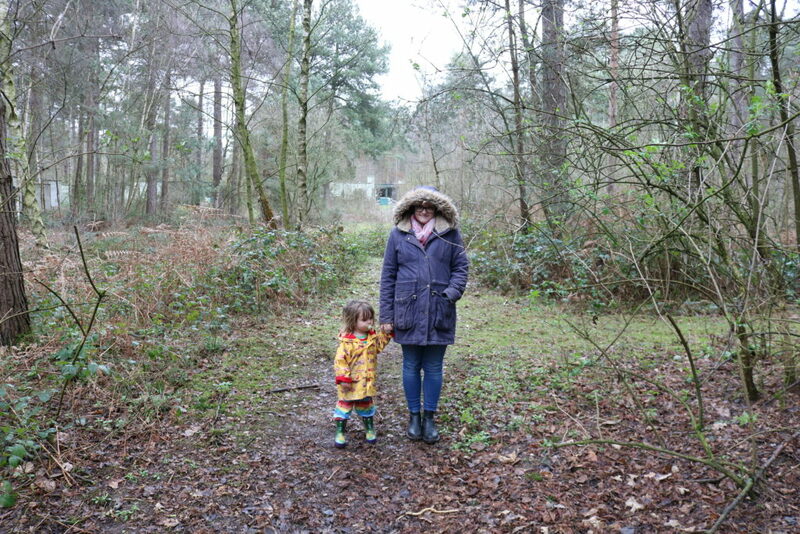 The Sherwood Forest park is small enough to explore on foot (if you already are used to walking around a lot in general/go outdoors for walks etc.,) and we took the pushchair so it wasn’t a problem to get from A-B or even across the whole park. Woodland Centre. Up at the country club across the lake is a little nature museum and centre next to a restaurant. It’s free and there’s things to read, learn about and touch. Outside the back of the centre is a nice little walk around the water, a den making activity spot (paid activities) and bird spotting hide out where you can watch animals foraging and eating. 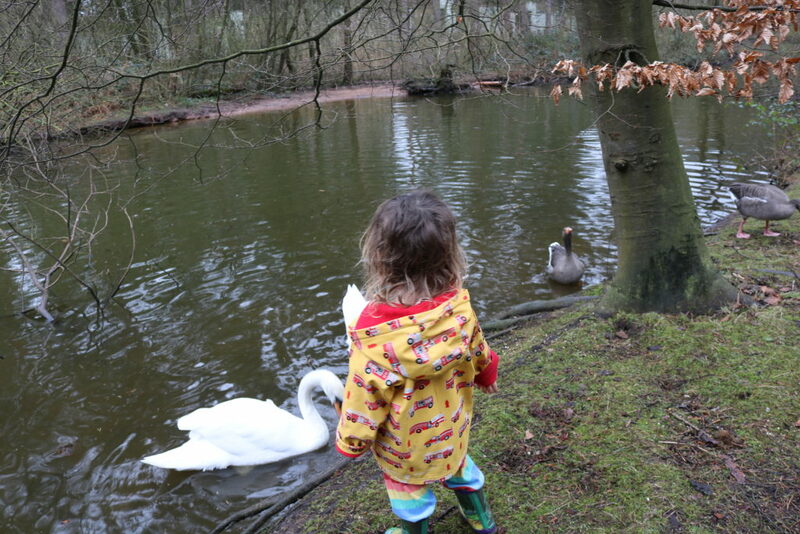 What’s so good about Center Parcs? And any negatives?! 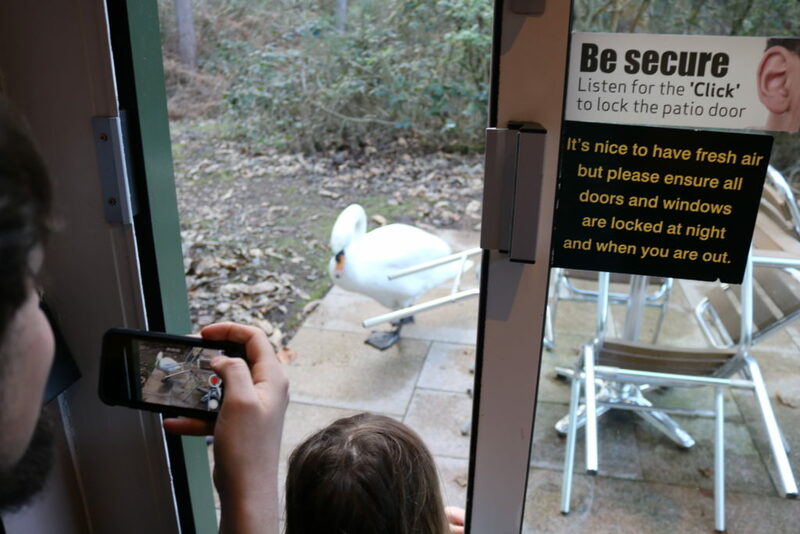 Center Parcs is unique and I can completely see why families (and everyone else who does) loves it, and return year on year. 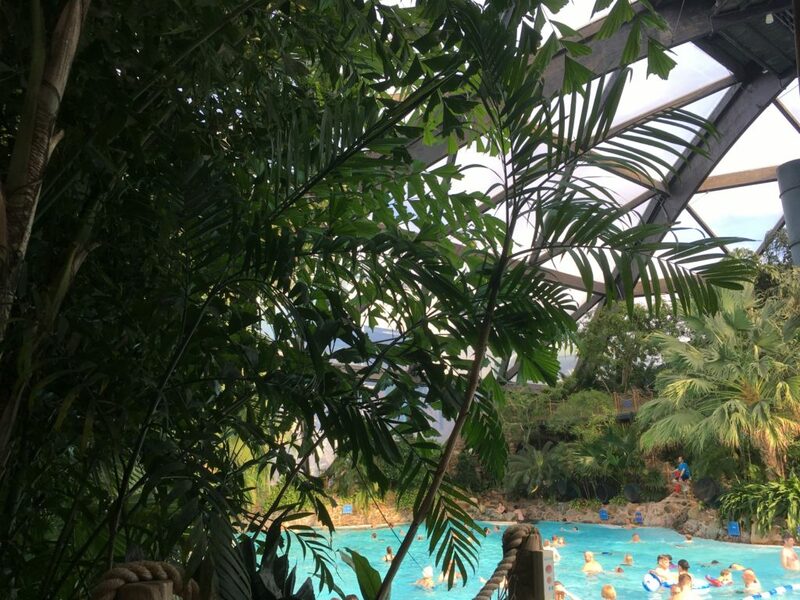 Center Parcs is a bit like posh outdoors but with the perks of having a nice, warm and clean place to sleep and self cater for yourself, plus access to all facilities and activities. Everything is very high quality. The restaurants, the landscaping, the cleanliness of everywhere. It all felt new and landscaped. The staff are jolly and nice. The pool is very, very good. Speaking of the restaurants; there’s lots of them! 8 restaurants (I think) and popular chains like Cafe Rouge, Bella Italia, etc., We didn’t eat out as that isn’t something we can afford at the moment but I thought the selection was good and I was impressed with the choice. The activities are to a high standard, Jardin Di Sport was very impressive for a sports hall, Country Club was lovely, the supermarket is well stocked, the toy shop was very nice, the shops are all quite “posh”. The park is general is very nice, clean and to a high spec. Lovely to be around, walk around and enjoy. It is very well maintained. There are activities for everyone. From babies, to sport fanatics, adults, toddlers, everyone in between. Whatever your interest is in being active, there is probably something for you. But everything costs. 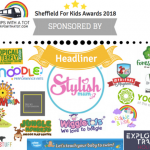 For children there’s loads of classes and kids club which provide childcare with OFSTED registered carers. 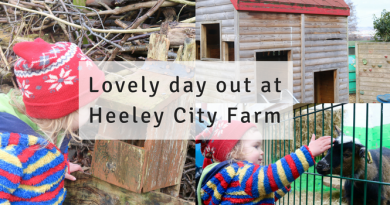 Activities include science classes, baking, parties, woodland trails, paint a pot, tots sports classes, crafts, swimming and lots more. 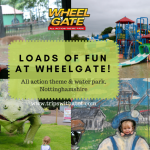 For adults there’s all sorts of sports you could imagine, mini golf, Go Ape, spa, cycling, swimming, eating out, walking, going for a run, whatever, really! The activities are on all day, every day and the guide was very big jam packed of things to do. Was I impressed with the amount of activities there were? Yes, to be honest I was, especially as it was obviously their quietest time of year in term time week-day. There was still lots to do and it didn’t feel like there was less on offer just because of the time of year we went. I browsed all the schedules and prices ranged from around £10 up to £25 and beyond depending on what you wanted to do. I had been pestered by Center Parcs for months over email about pre-booking activities, they did make it sound like I had to book the actvities right now or else I wouldn’t enjoy myself, and at times I did worry we would be bored because we couldn’t afford to book anything but rest assured, you don’t need to do any activities to enjoy yourself. I’m sure they’re all very fun and the Center Parcs experience is completely different if you do lots of different activities, no doubt about that. But I didn’t feel like I was losing out on anything. Perhaps, you have a big family full of different aged children then yes; there is something to suit everyone and you probably would need to spend quite a bit on activities to keep everyone entertained; but for us we only did 1 activity and it was just a spur of the moment decision. That was a science class for Eric and it cost £10 for 45 minutes. Yes it was good but I wouldn’t pay for it again. Are there any free activities? No, I didn’t find any apart from swimming if you count that as an activity. There certainly weren’t any in the activity schedule listed as free. 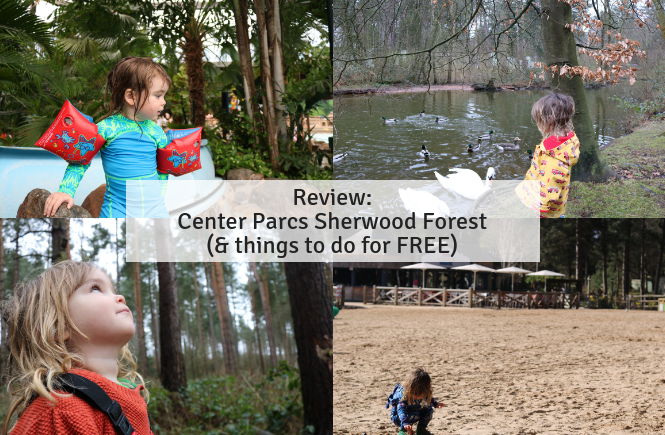 The free things to do at Center Parcs are what I mentioned above. This was a lot different from our holidays at Haven where you do get entertainment/activities included (or “for free”). 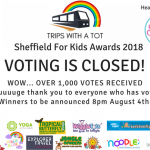 It would have been nice to have the option of some free activities on for little ones. 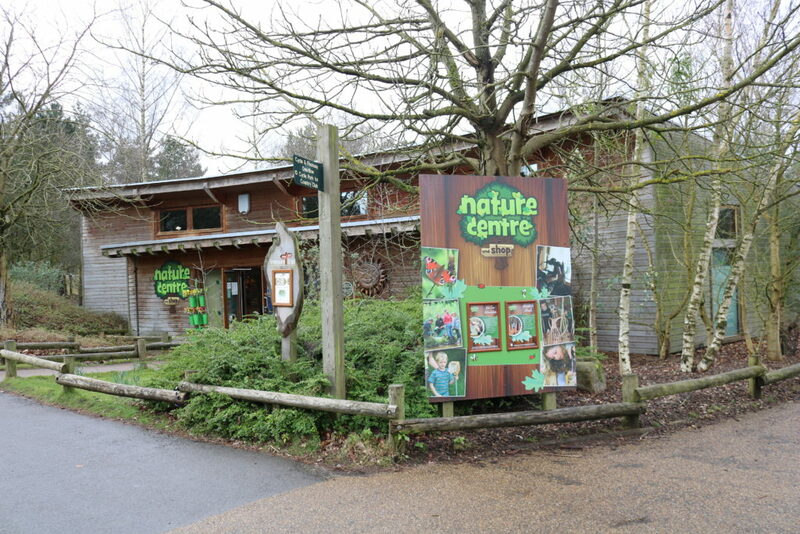 I do think that due to the lack of things to do for free then the price of Center Parcs is crazy. The price we paid was relatively OK to say it’s Center Parcs, but if you have a family of 3 or more and consider all the extras like paying for the location of your lodge, cycle hire, activities… then no wonder most families are priced out of a Center Parcs holiday… not to mention how much it costs during school holidays… I would expect at least SOMETHING to do which doesn’t cost extra and isn’t swimming after you’ve spent all that money. 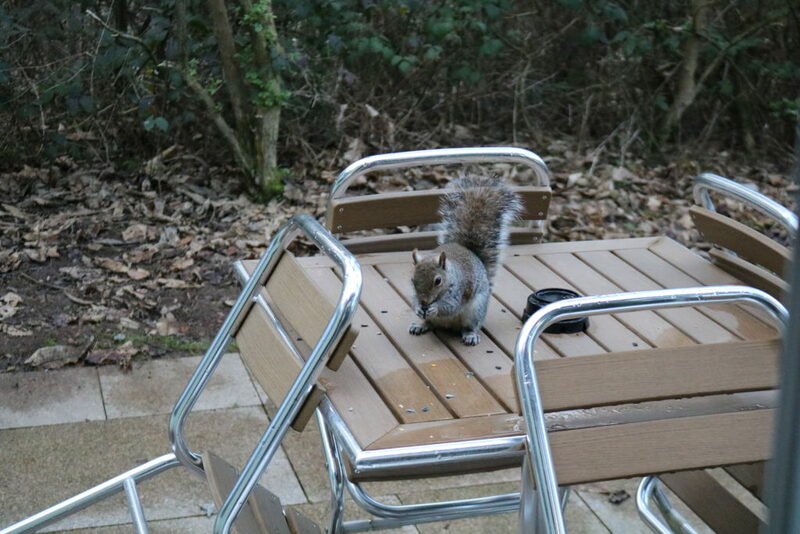 Center Parcs is not like any caravan park or holiday resort I have been to before. The major difference was the high quality of everything. 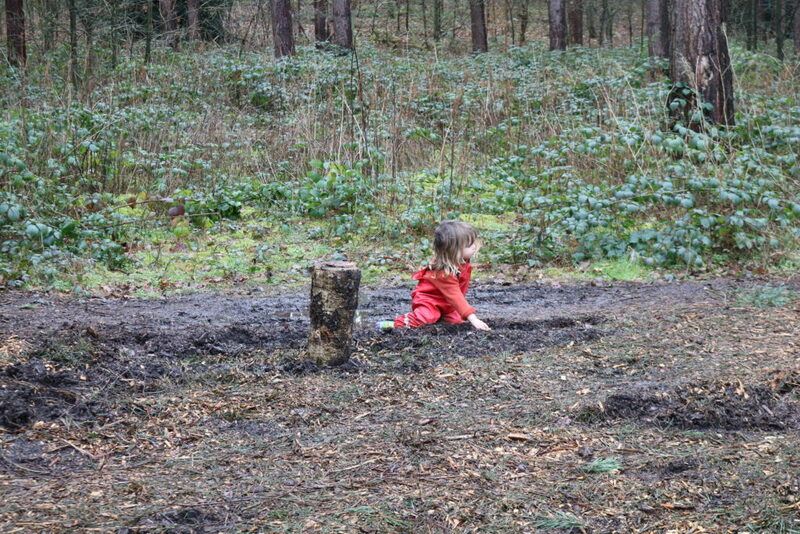 Center Parcs is outdoorsy and it is very clean. It is suitable for cyclists and pushchairs. Although you’re in the great outdoors there is no where you feel lost or off the (very beaten) track. 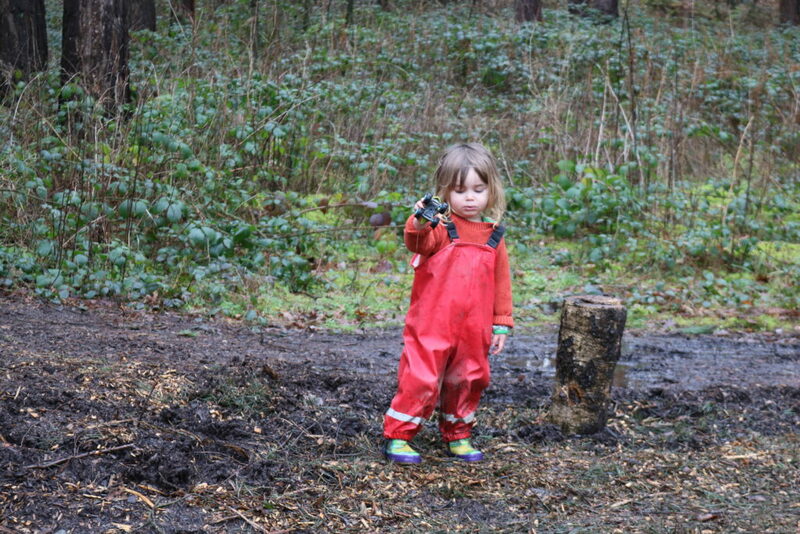 In terms of the great outdoors… I felt that’s where I was most disappointed. 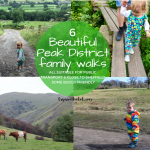 I didn’t feel very ‘real’ to us, a family who do love the outdoors at home… the Peak District, walks, woodlands, parks, getting dirty in puddles, mud and any excuse to go for a paddle. 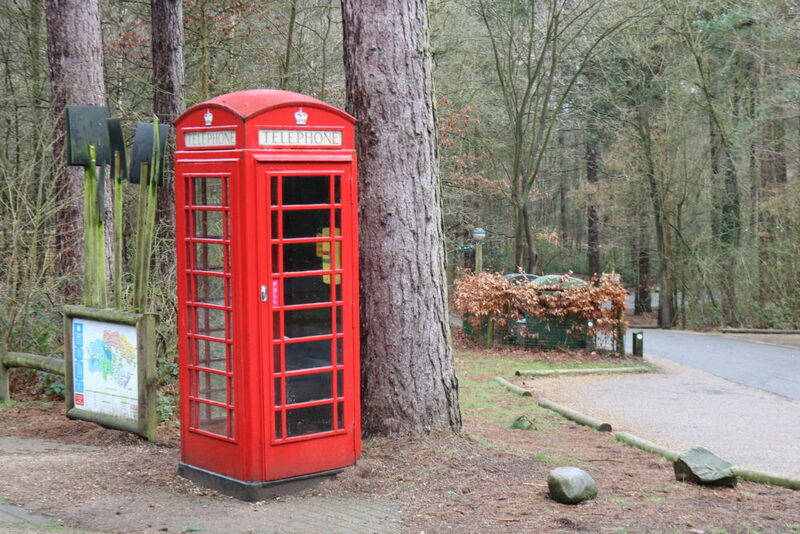 That sort of thing feels very rural whereas Center Parcs doesn’t. Hard to explain but it felt like the outdoors experience had been created rather than being there. Of course, it’s all natural because it’s a forest… but it still felt a little like everything had been made up to be ‘outdoorsy’. Not sure if that makes sense. The park was smaller than I thought and we couldn’t have packed a picnic and gone out getting lost for the day. 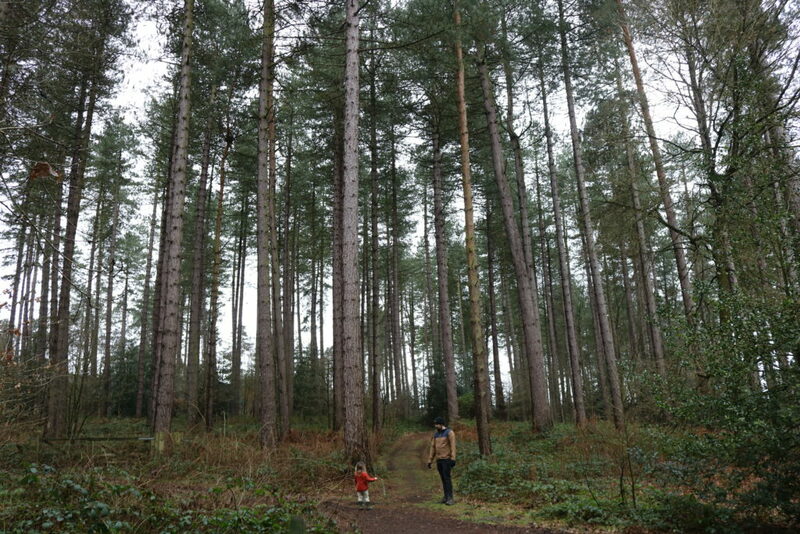 There’s no opportunities for big walks and you’d have to go off site to nearby Sherwood Pines for more walks. 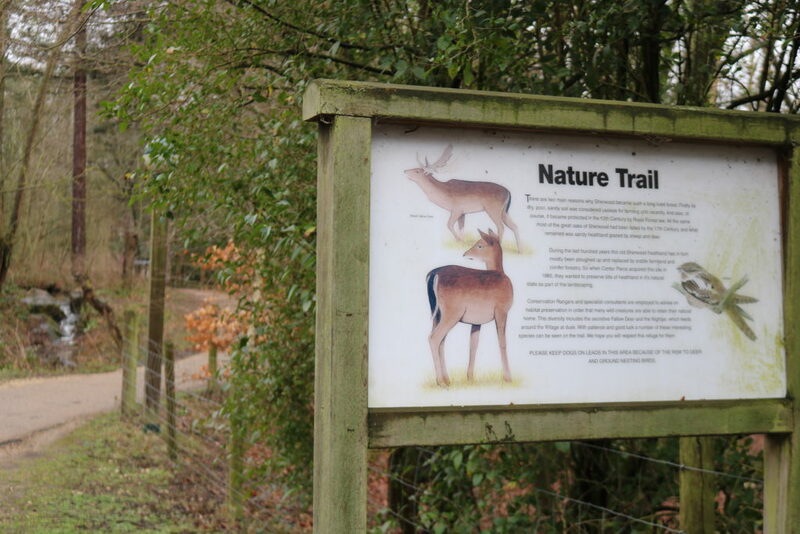 We did find a nature trail at the back of the park near the tree houses (wow, those look amazing!) but it was small and we didn’t spot any wildlife. Being in the forest away from the accommodation (although you can still see some apartments) was fun, though, and a highlight of the holiday was that morning out in the forest. 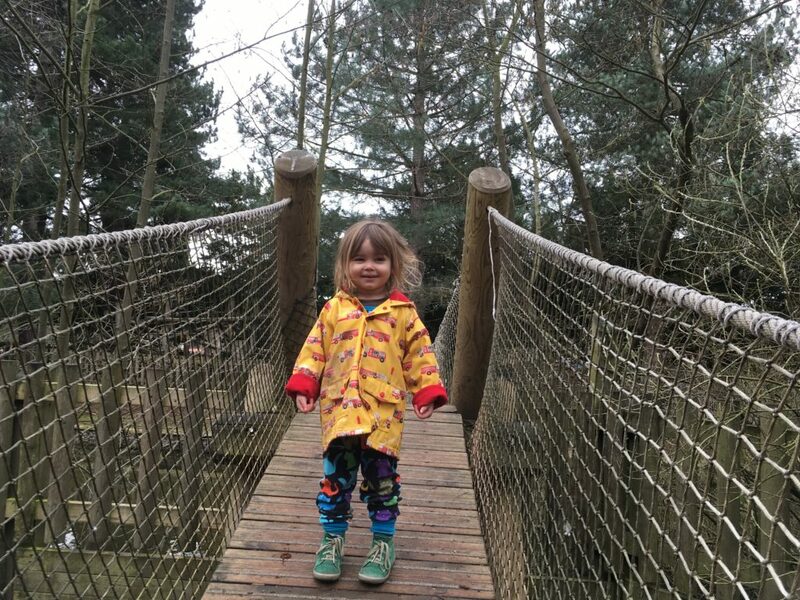 You shouldn’t have to pay LOTS of money to experience the outdoors or nature as much as it costs at Center Parcs, and it sort of annoys me that Center Parcs do have this whole niche of it being the ‘outdoors’ experience holiday for families. I really hope families realise they don’t need to spend hundreds and thousands of pounds to enjoy nature, wildlife, go for a bike ride or a walk, though. However, as an outdoorsy type holiday I can understand why it is such a good idea to have a holiday resort which has really family friendly and safe. 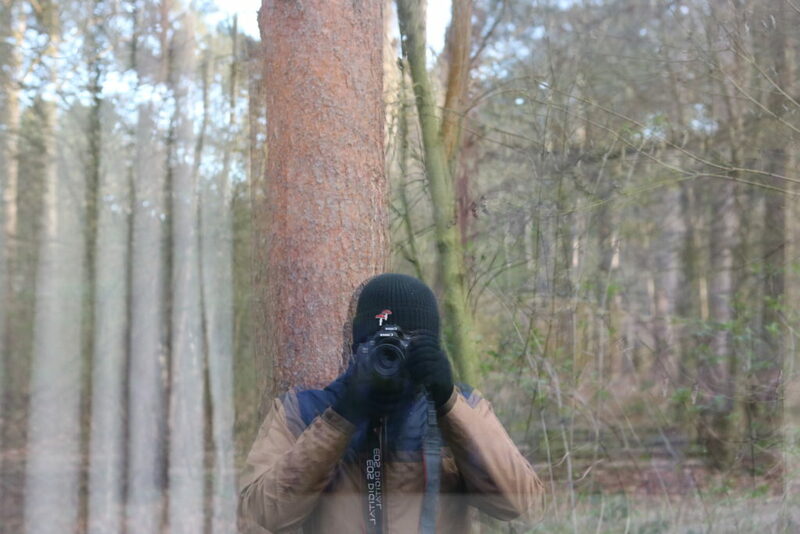 Not everyone wants to get lost in the Peak District or go walking off beaten tracks for hours, so yes I understand how nice it is at Centerparcs to be able to experience the outdoors without getting your hands dirty. 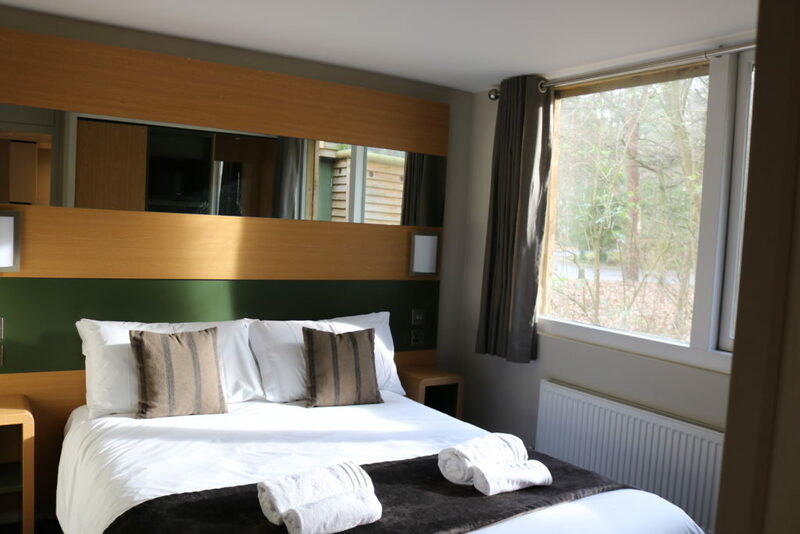 At Sherwood Forest, you can be outdoorsy but also be very close to your lovely lodge, go swimming at the amazing pool, go to a nice restaurant or go cycling. So it’s very convenient to go for a walk/get fresh air etc., without being miles away from anything. 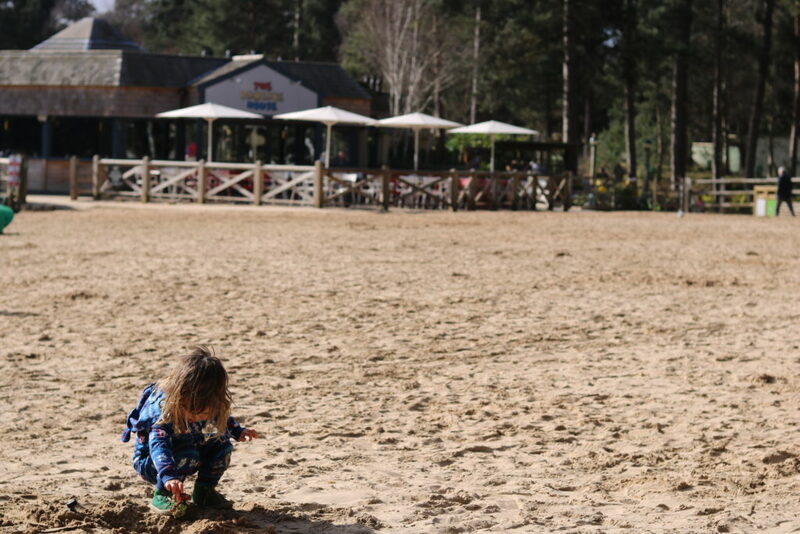 I think people who live in busy cities with not much access to green spaces, countryside, woodlands etc., or those who live near the beach/coast would get the most out of the Center Parcs experience. 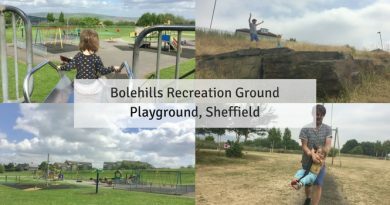 Since we already do so much outdoors, and we live in Sheffield; one of the greenest cities in Europe with loads of opportunities to go to a woodland or a park or for a walk, then that’s probably why I was expecting more wild forest. It was busy and we went during term time, week day. On arrival day it was very, very busy; I can’t imagine that it would be like during school holidays/half term or weekends and I don’t think we would go back during that time. I was disappointed at the lack of outdoor play areas. There were only two and they were both quite advanced. 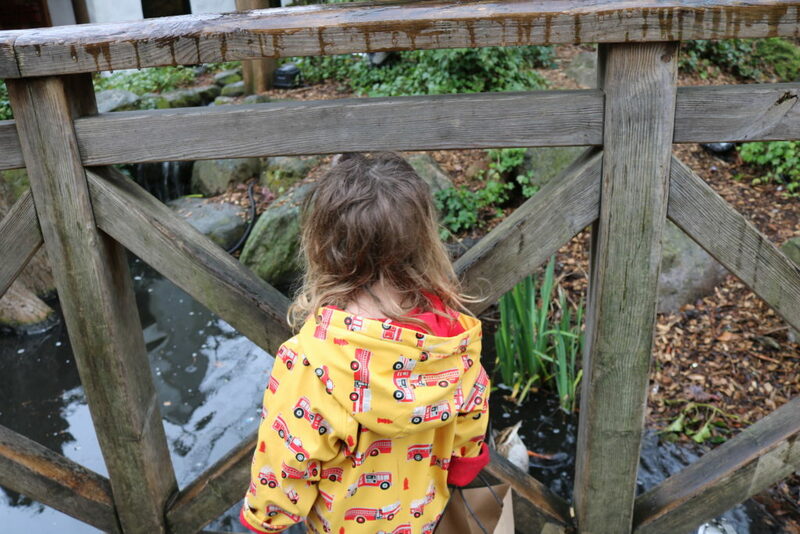 The ‘main’ outdoor play area was sort of split into two, one had a big slide and some wooden boats and a wobbly bridge over water (really nice) and the other side had 2 little wooden houses, a swing and some wooden beams. These sorts of wooden play areas are nice and I’m not knocking them for what they are, but they aren’t very interesting or suitable for under 5’s to an extent. 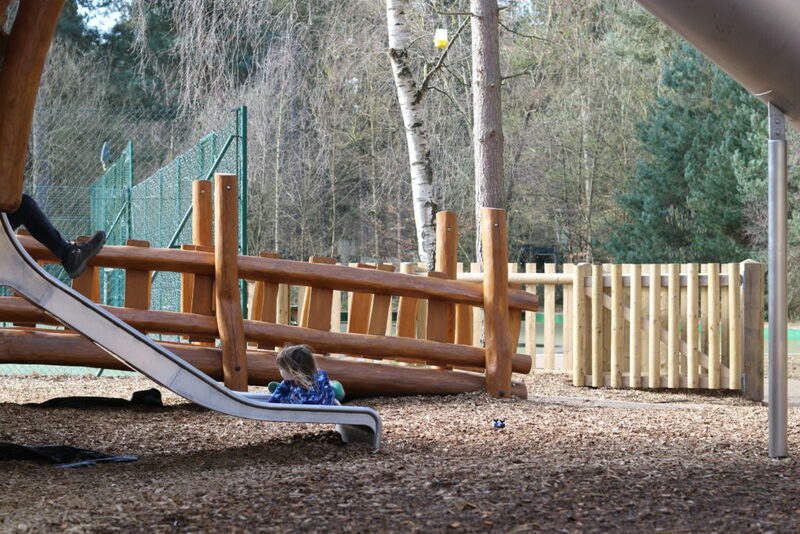 And as Center Parcs is all about being outside I really thought they’d be playgrounds dotted around the park everywhere. 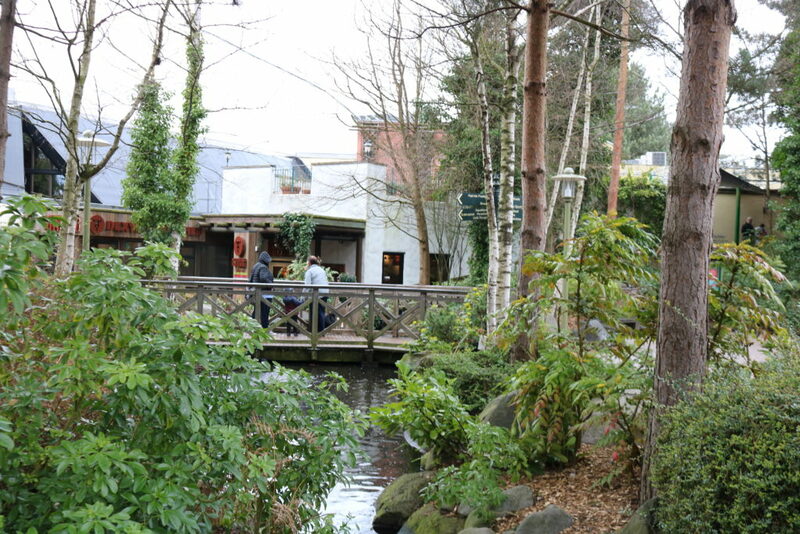 The Village – The landscaping, Bridge, Running water, Ducks around the shops and restaurants. There was a very good Parc Market supermarket (well stocked, friendly staff, good selection) and toy shop! Not stressful. It is relaxing being there and life seems to slow down. Cleanliness. I didn’t see litter anywhere and it was all so clean and fresh. 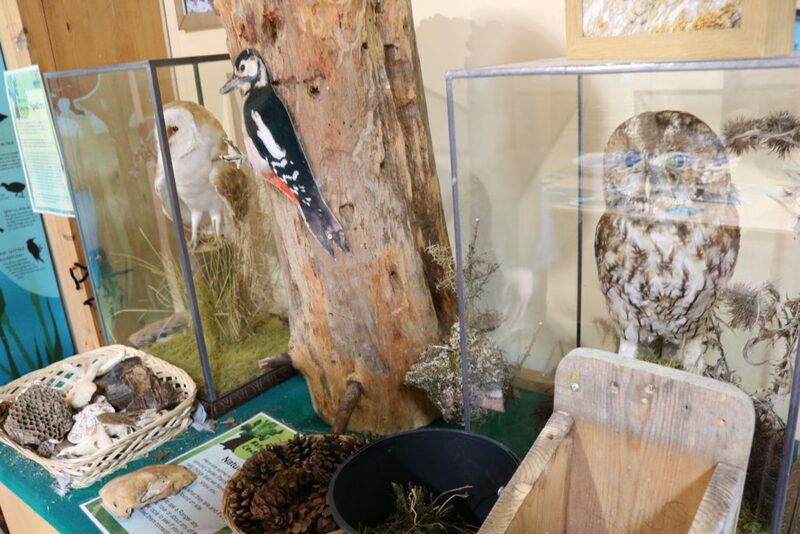 Nature centre. This was a lovely little find up at the country club. We won’t be going back for many years just due to the price; I can’t justify it for what it is and that’s with the “cheap price” we managed to get. I wouldn’t pay more than £400 for Monday-Friday and that’s still a lot for what it is. Actually, even £400 seems far too much now I think about it. However… it’s a very nice place and there isn’t anywhere else like it so if you like it, then you have to pay; that’s the only way around it! The swimming is very, very good and if that wasn’t free I would definitely not go back… but for swimming and nature alone, that’s what tempts me to return. As for location and lodge I preferred Sandybrook Country Park in Ashbourne as there were more walks locally. It was a very easy Monday-Friday break. 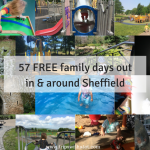 It’s definitely ‘easy’ for families because you can just walk everywhere, there’s a good swimming pool, it’s clean, safe, things to do, activities if you’re that way inclined, outdoors things which everyone loves. Even though we were cut off from civilisation in a way, because you’re in a forest and there’s no traffic Tuesday-Thursday, it was nice but also did feel a bit claustrophobic. It’s strange, too, because although you’re in the forest, at Sherwood Forest Center Parcs, you’re only down the road from Worksop! 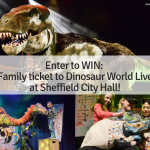 (and in you live in Sheffield, that’s really close!) Haha. And for that reason I felt I just couldn’t 100% respect it for what it is, and so if I was to go back I would go further away from home to feel more like… it is worth the price, and I get more of an experience. Did Eric enjoy it? He did seem to enjoy it however 2 weeks after this we went to Haven (I’m writing this review the day after we just got back from Haven yesterday!) and he seemed to like that more. Eric is 3 years old, loves the outdoors, goes on holidays a lot. He loved the swimming pool and he remembers the toy shop and squirrels. But he doesn’t talk about it much. He did seem sad to leave on the last day but I wouldn’t say he found it particularly amazing… compared to how he has talked about many other holidays and places we have been to. 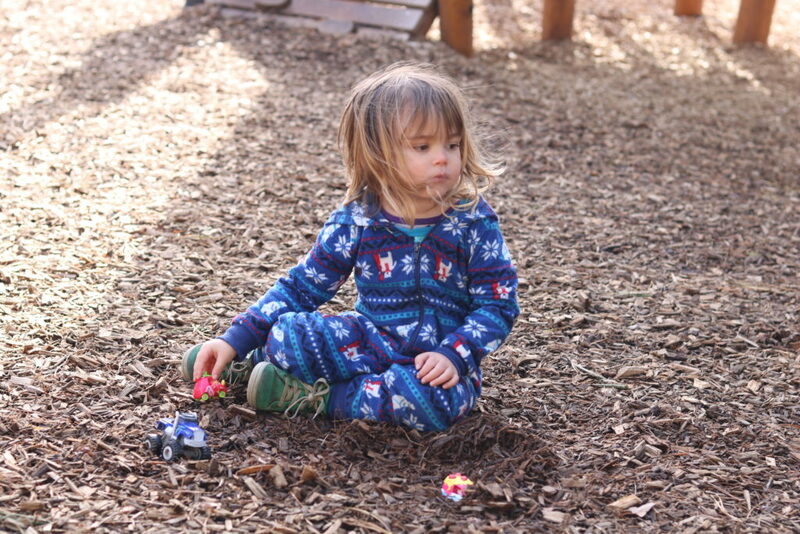 He got frustrated with the playgrounds and was disappointed there weren’t many of them. I think it’s more for the family as a whole, the parents to enjoy ‘time off’ and time ‘away from home’ the experience of doing nothing. For that we did enjoy it but for the price it would have been nice to have the option of more things to do. I think you can probably assume Eric isn’t crazy about it due to the fact that, to him, it might not have seemed too different from what we already do. We already spend lots of time outdoors, in woodlands, at parks, and he goes swimming once a week (I know it’s not the same at all, but as kids they don’t really know that there’s a HUGE difference; fun is fun). Obviously, for me and Ollie it was very different to our life back at home and for that reason it was just what we were looking for. I may have sounded negative at parts throughout this review but I just wanted to be honest. 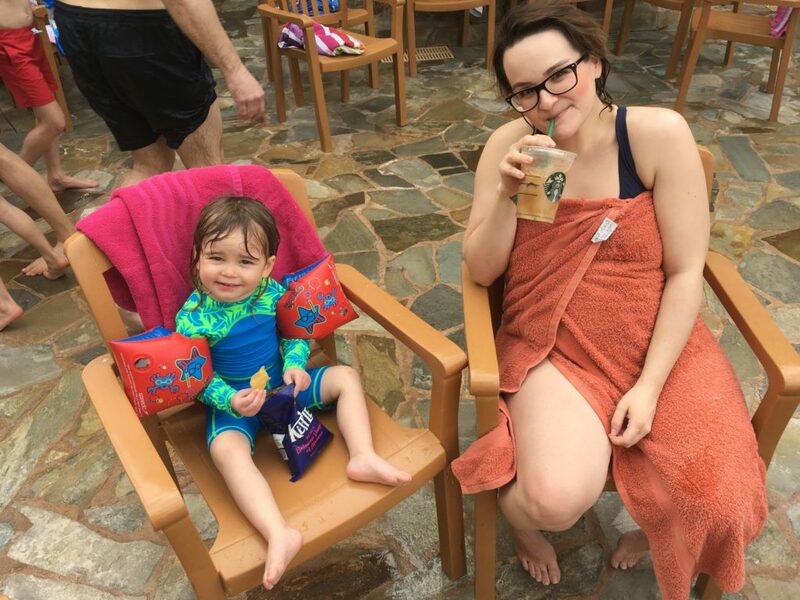 I did really enjoy Center Parcs, I look back fondly on it and it was just the right place for our “last family holiday as a 3”. It was good as a baby moon and swimming was fantastic. 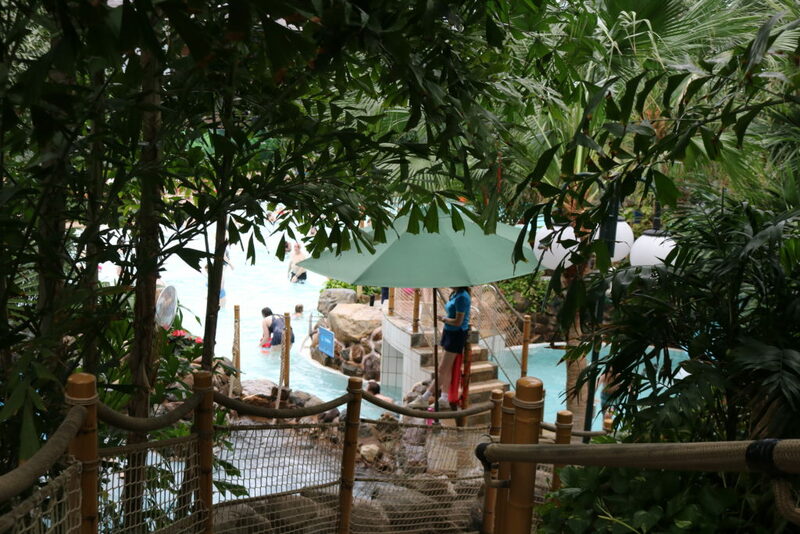 If money is not a problem for you then yes, I recommend you go and see what Center Parcs it’s about ASAP. 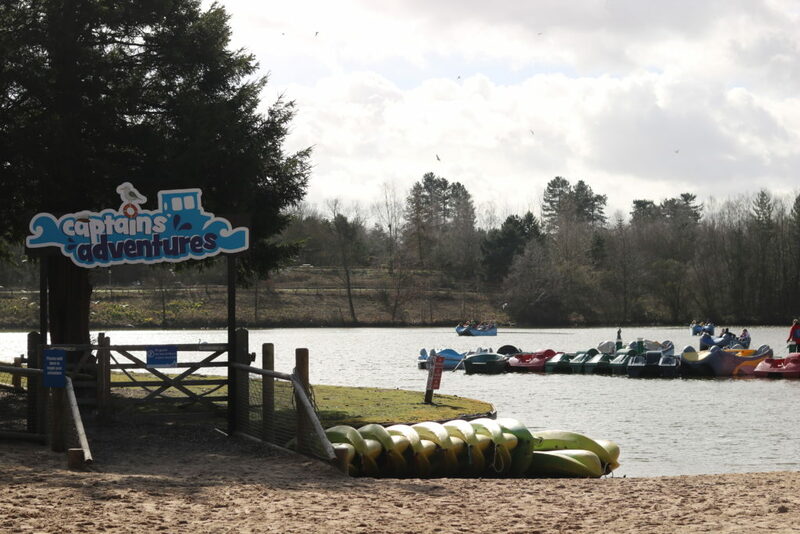 But if you can’t afford it, or you’re thinking about going but the price really puts you off, then rest assured you aren’t going to miss out on anything by not going to Center Parcs. I was very intrigued whether it was worth the hype and to be honest, that was my number one reason I wanted to go so much. Curiosity has killed the cat now and I’m happy we went but I’m not making it my priority to go back next year. Center Parcs are clearly very good at what they do and I can’t imagine anyone who goes on holiday there has much to complain about. However, for us, it all comes down the value for money and for that reason we won’t be going back any time soon. 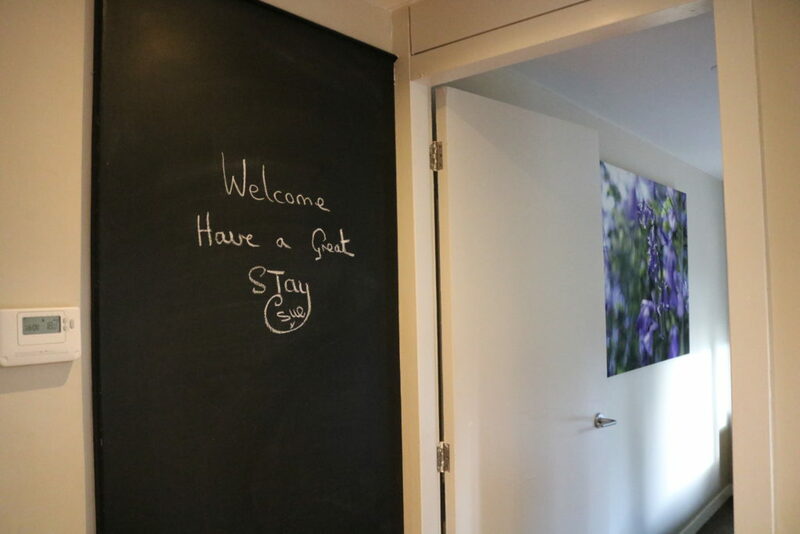 If you’ve been to Center Parcs I would love to know what you think! 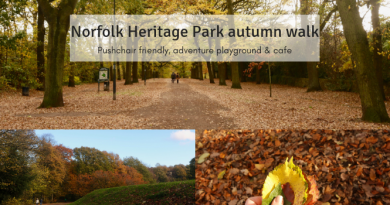 Especially other parks such as Whinfell and Longleat. 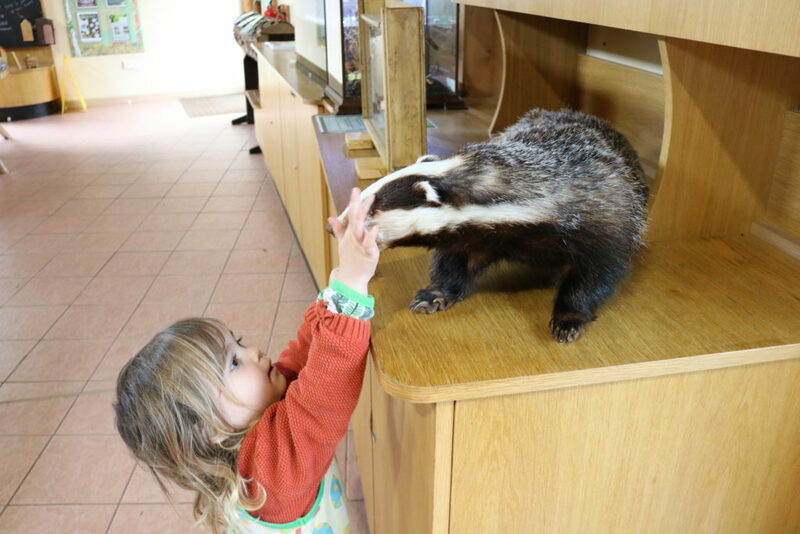 I’d love to know what you think about other holiday parks in the UK, too, so leave a comment with your recommendations!